Craigslist launched in 1995 and has an antiquated look and feel that reflects the time. Yet, despite growing competition from more advanced platforms, Craigslist remains one of the top websites when people are searching for an apartment or rental property. Landlords and property owners who shy away from Craigslist are turning their backs on a large segment of the market. If you have tried Craigslist in the past without much success, it is understandable why you may have become frustrated or given up. Craigslist’s platform is a bit like shouting from within the middle of a large crowd. It is easy for your rental property listing to get lost. Rather than becoming aggravated, take time to reevaluate your approach. Your Craigslist rental property ad may just need to be reinvigorated. As with all web content, a compelling headline is essential for attracting users. Still, a headline must be descriptive and accurate. If you are unsure, consider testing different variations. Writing well will boost your credibility and is a reflection of your professionalism. Moreover, ensure you are answering the most common questions or concerns. 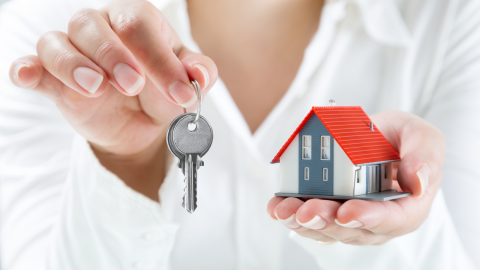 This will ensure that the property meets the prospective tenant’s needs. Most people spend their time online browsing before deciding to read. Make sure that your property photos are up to par: well lit, unclutter, and focused. Include all bedrooms, bathrooms, the kitchen, and any important amenities. Many landlords and property managers will post one generic listing for multiple units. Usually, the better option is individual listings with unique descriptions and photos. It is not a good idea to have people call or fill out a form to get a price. Many potentially good tenants are going to be dissuaded from inquiring. Additionally, you are forced to deal with weeding through many unqualified candidates. What haven’t we covered yet that is important to you? If you would like more information about creating a Craigslist rental property listing or a related topic, please contact us. What Attributes Make A Good Property Manager?